NB. We apply for BMTT funding annually to help partially subsidise the cost for merchant members. If you are an experienced manager in either a Merchant or Supplier Member of the BMF, the new Postgraduate Diploma in Merchant Leadership & Strategy will be of interest to you. The BMF is working with Birmingham City University who will run the course and award their Postgraduate Diploma in Merchant Leadership and Strategy to successful graduates. The course offers an advanced personal development qualification to senior managers who have a minimum of 5 years working experience in multi-site companies - but not necessarily with any degree level academic qualification. Credit is given to experience. There is a formal pre-selection procedure which requires a written submission and interview. 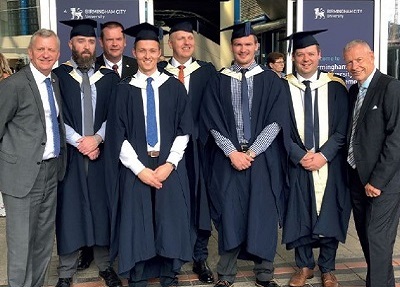 Birmingham City University has wide experience of running similar courses for other industries and more particularly, for Jewson. The format is five modules including a final project, with a mixture of distance and workshop learning over a 12 month programme. The Postgraduate Diploma is separate and distinct from the BMF Diploma and Foundation Degree in Merchanting. Training for this course is booked on demand. To register your interest please contact Paige Godsell at paige.godsell@bmf.org.uk or call 02476 854980.